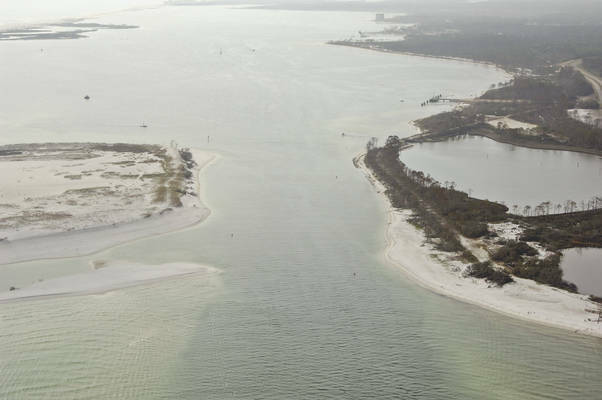 Located just to port (west) after arriving from the Gulf of Mexico through the Pensacola Bay Inlet, the cut into Big Lagoon passes between the mainland to the north and Robertson Island to the south. The image above is a view from the east looking west over the cut between Robertson Island (left) and Sherman Cove to the right (north). The inlet channel and the numerous daybeacons and nun buoys that mark its edges can be seen along the pass. 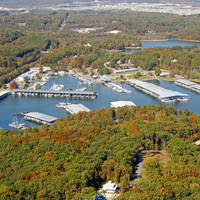 Off in the distance to the right (north), the piers for Rod and Reel and Southwind marinas can be seen. 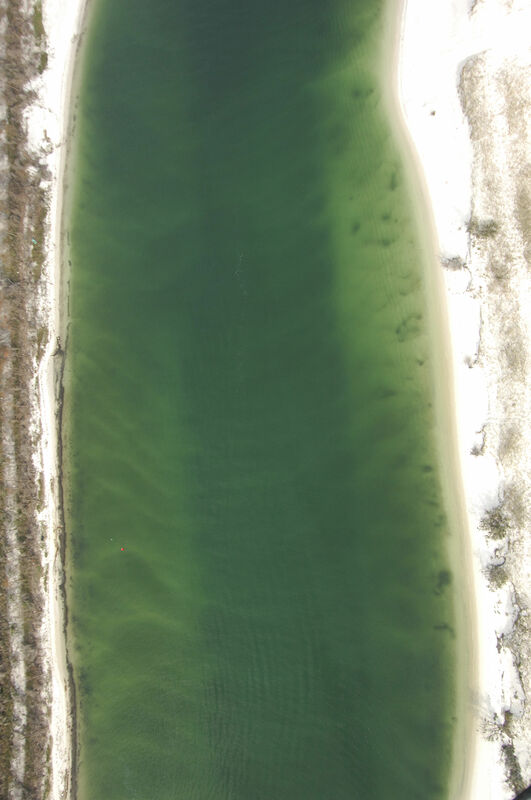 Arriving from the east via Pensacola Bay, set a course to pick up green nun buoy 1, which is located in the vicinity of waypoint 30 20.060N 87 18.617W. Once you have arrived in the area of the waypoint and picked up green nun buoy 1 (red nun buoy 2 is just north of the green nun), steer west on an approximate heading of 255 degrees magnetic for about a half-mile until you pick up red nun buoy 6 on the north side of the channel, making sure to honor green nun buoy 3, which marks a three-foot shoal along the way. From red nun buoy 6, you can set an approximate course of 251 degrees magnetic for about .8 mile until you reach flashing green 7 on the west side of Robertson Island into Big Lagoon. 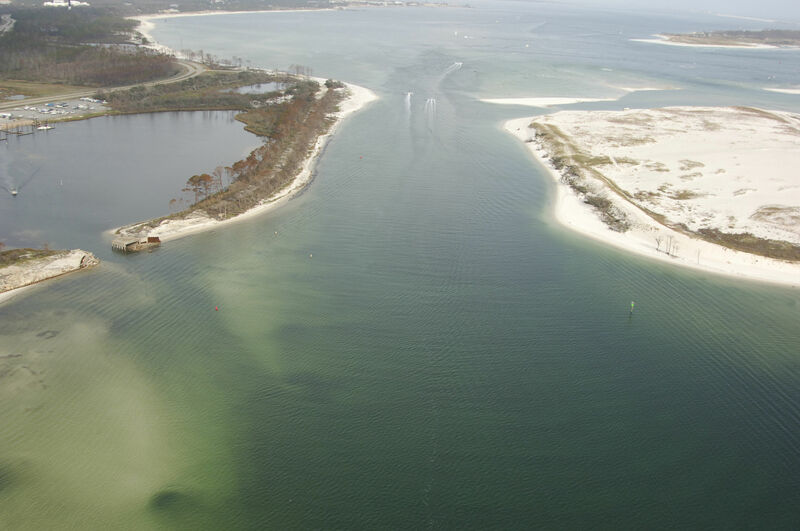 For dockage, the Southwind and Rod and Reel marinas are located behind Trout Point on the north shore of Big Lagoon about a mile a way to the west from Robertson Island. No reviews yet! 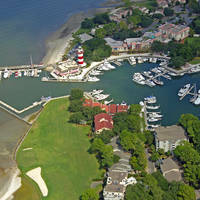 Be the first to write a review of Big Lagoon Inlet.